Bipolar disorder is a severe mental health condition that affects 4.4% of U.S. adults. Of all mood disorders, people with bipolar disorder are at the highest risk of experiencing significant impairment. Surveys show that 82.9% of people with bipolar disorder experienced substantial impairment in day-to-day functioning, and a further 17.1% experienced moderate impairment. Unfortunately, people with mental health conditions of any kind are at higher risk of co-occurring substance use disorders. While 8.2% of the general population in the U.S. struggles with a substance use disorder, the lifetime prevalence of SUDs in bipolar patients is close to 40%, with alcohol, cocaine, opioids, and cannabis as the most widely abused substances. For bipolar patients, co-occurring SUDs directly correlate with adverse effects on the trajectory of the illness, contributing to more frequent, prolonged bipolar episodes. The following article will explore the relationship between bipolar disorder and substance abuse, and what type of treatment is available for these patients. Bipolar disorder is a lifelong mood disorder that is broken down into subtypes. The disease is sometimes referred to as manic depression, and sufferers will experience dramatic changes in mood, energy and activity levels that significantly impair their daily functioning. These severe mood changes can last for weeks or sometimes months. In many cases, bipolar patients will need to be hospitalized for these dramatic mood shifts. Changes in mood can range from manic highs and severe lows. In bipolar two disorder, patients will experience episodes of hypomania and depression, where they will feel energetic and alert, but still have depression. Bipolar 1 disorder is characterized by at least one episode of mania lasting at least one week. Bipolar 1 patients often go on to have a depressive episode, but not everyone with bipolar one disorder will experience depression. Cyclothymia is diagnosed when patients experience both hypomania and depressive mood states throughout two years or more, but symptoms of either are not severe enough for a diagnosis of either bipolar 1 or bipolar 2. Around 2.8% of the U.S. adult population has experienced a bipolar episode in the past year. Both men and women are equally affected by the disorder. How common are bipolar disorder and substance abuse? Unfortunately, substance abuse rates are much higher in bipolar patients than in the general population. Recent surveys have found that 40% of people with bipolar disorder have a co-occurring SUD. Out of all mental health disorders, bipolar disorder has the highest rate of comorbidities. While untreated bipolar disorder increases the likelihood of injury and other poor life outcomes, a co-occurring substance use disorder compounds these problems. 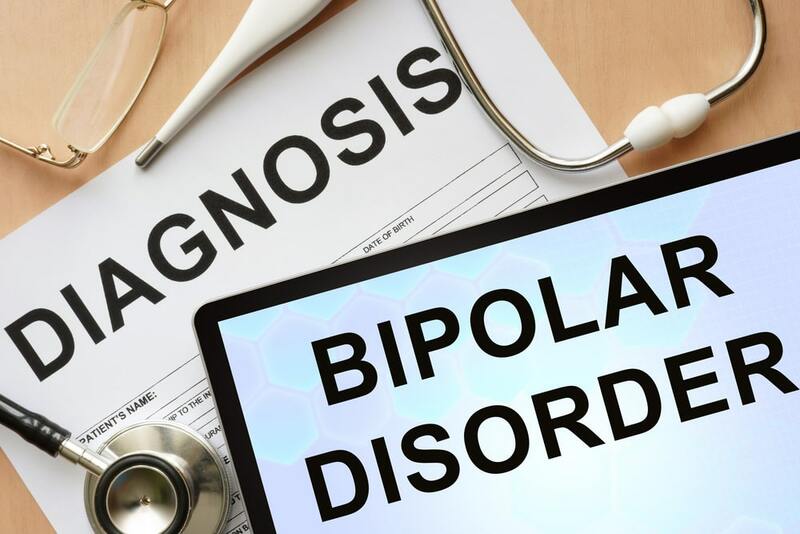 Additionally, co-occurring substance use disorders can make it even more difficult for clinicians to accurately diagnose bipolar disorder and get patients the help they need. It takes bipolar patients an average of ten years of seeking treatment to get an accurate diagnosis. During this time, many people with untreated bipolar disorder will turn to drugs or alcohol to find relief for their symptoms. In some cases, alcohol or drug use can trigger bipolar disorder. Who is most likely to suffer from bipolar disorder and a co-occurring SUD? Although women and men experience similar rates of bipolar disorder, more men with bipolar disorder will have a co-occurring SUD than women. Most often, the substance is alcohol. People with bipolar 1 are more like to abuse drugs and also alcohol than people with either bipolar 2 or cyclothymia. Also, patients who have bipolar disorder and a co-occurring substance use disorder experience earlier ages of onset for both issues. These patients also tend to experience more hospitalizations than bipolar patients who do not have a co-occurring SUD. An earlier age of onset can be both a cause and also a consequence of bipolar disorder. What substances are bipolar patients most likely to abuse? What are the treatment options for co-occurring SUD and bipolar disorder? It can be challenging to treat both bipolar disorder and substance use disorder on their own. Together, treatment methods must be even more delicate and precise. Giving the wrong medication to a bipolar patient can put them at risk of suicide or aggressive behavior. Because of the challenges involved in treating co-occurring bipolar disorder and substance abuse, an integrated approach with both medications and therapy and family interventions is often warranted. Bipolar patients with co-occurring SUD will often need to stay for some time in a medical detox and inpatient rehabilitation facility. Doctors are available 24/7 in these facilities to monitor patients and make sure they are given the correct medication for their diagnosis. Also, integrated therapy, where patients can identify with help from a trained therapist their triggers and how to cope without substances is best for treating both the mood disorder and SUD. Integrated treatment methods, where both the mental health disorder and substance abuse disorder are addressed and treated simultaneously give bipolar patients the best outcomes. Although these two disorders are challenging to treat, treatment and recovery are possible. SUD and bipolar disorder are lifelong illnesses, but inpatient and outpatient rehabilitation facilities give patients, access to trained therapists, doctors, and social workers who can help them create an ongoing maintenance and treatment plan. With ongoing treatment, patients are better able to avoid triggers and deal with stressors in everyday life without resorting to drugs or alcohol. Ongoing, contingency plans for bipolar patients also enable them to better manage their care for life. If medications need changing or adjusted, an ongoing treatment plan gives patients quicker, more efficient access to doctors and clinicians who understand their disorder and their history, and how to best treat it.